Thank you for your interest in Avaya UCaaS solutions and for stopping by our booth at Channel Partners in Las Vegas. Chosen as the booth with the best branded giveaways, we have one more to give you — an Igloo backpack cooler (valued at $45) to keep your cocktails chilled — just for speaking with us. Just provide us with some basic information and Westcon’s Internal Business Development Manager, Chris Gubitose, will give you a call to get you on your way to Avaya UCaaS success. 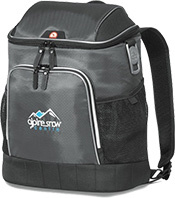 After your call, we’ll send you an Igloo insulated backpack cooler to keep all your food and beverages cool whether on the road or on the trail.